An environment that is simple, elegant and most of all friendly. Bedrooms combine Georgian splendour and traditional surroundings with all the modern day comforts you would expect today. All bedrooms are en-suite and are tastefully decorated to create a warm, inviting atmosphere and an ideal place to relax. 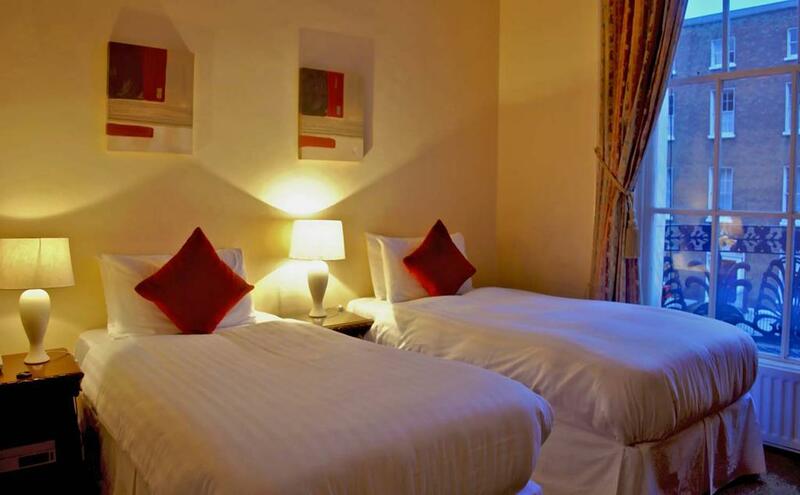 Bedrooms are cleaned by our professional staff daily. Our bed linen and towel are supplied daily by Kings Laundry. Fitzwilliam Townhouse Dublin merges traditional and contemporary values to create an environment that is simple, elegant and friendly. Use Promo Code - Discount8 in the promo code box when reserving and save 8%. Free Luggage Storage if you arrive early or are departing Dublin late. Family Rooms (1 double + 2 single) - for larger Family Rooms please visit our sister property Waterloo Lodge in Ballsbridge. Safety Deposit Facilities (at reception). Iron and Ironing Board on each landing. Baby cot are available and are fee of charge - please send us a request by email. Groups of up to 25 are welcome - Excellent group rates are available upon request.